In keeping with my naïve TV-informed view of the legal profession, I was simultaneously intimidated by a Boston Legal-type environment, and bored by the idea of civil litigation. (If you’re too young to get that reference, I can’t help you). He delivered this news to me in hushed tones behind closed doors, because even then, it was controversial advice. But you know what, looking back now, he wasn’t wrong. Now I know what you’re going to say — the near-hypocrisy is not lost on me. I didn’t become a prosecutor (a series of externships proved The Owl was right; I wouldn’t be happy), and I ran screaming from BigLaw (which was nothing like Boston Legal), but here I am — telling you — that you should give it a shot. I know how it looks, but hear me out. I’m not disparaging solos, public interest, inhouse, or government lawyers — they make up a large majority of the legal profession, and a lot of their work is certainly more noble and honorable than what you’ll see in BigLaw. But since the firms are uber-selective and attract the crème de la crème of lawyers, we consider them the top of the legal pyramid. Personally, if I had to do it all over again, I would. I don’t regret any of the decisions I made. 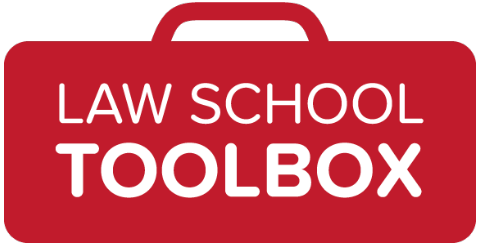 More generally though, from my recruiting perch, I will tell you that if you forego the BigLaw option in law school — it will be almost impossible to get back “up there” later in your career. That reasoning alone is not enough though. You might like it. Everyone is different. Just because most people struggle with the hours or the environment, doesn’t mean you will. You will learn A LOT. And fast. I don’t mean legal theory; you got plenty of that in law school, but about the business of law and how it’s actually practiced, at the institutional level. You will find great friends and mentors. Believe it or not, your tight knit clique of law school besties will not stay together long after graduation. But BigLaw friends — they are for life! Large firms are a great place to meet a lot of really smart, really interesting (albeit socially awkward) people, whom you’re sure to keep in your life long after BigLaw. You can use the money. Unless you’re a trust fund baby, or a reclusive off-the-grid survivalist, money is important. If you do it right, you can pay down loans or save up to finance that bakery you’ve always dreamt about. Whichever way you go — it’ll be helpful to have a financial cushion. Anyone who’s spent time working for a large firm will tell you that they appreciate the experience and lessons they learned. Some people continue to practice law, others become fashion designers, food/travel bloggers, start-up consultants, or teachers of the Alexander Technique. I bet any one of them will give you the same advice. 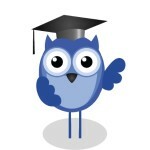 BigLaw, warts and all, is great training ground and a terrific springboard for whatever you go on to do later in life. So if you have the chance, I say go for it — you can always take a “step down” later. * I’ve written a lot of blog posts breathlessly trying to defend my honor and explaining how my advice isn’t meant to convince people to stay in BigLaw. If you’re not happy, nothing I do or say is going to sway you or change your mind. And if you don’t want to be there, that makes you a poor choice for my clients anyway. But alas, the criticism persist. Thanks, Angela! Fascinating topic, and one I have mixed feelings about. Readers, what do you think? Share your experiences and feedback in the comments! 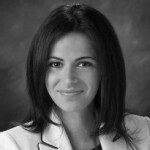 Angela Kopolovich is the Managing Director of Alegna International, a boutique attorney recruiting firm. 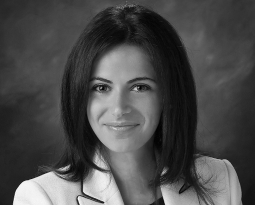 A former practicing litigator with a large global law firm, Angela now specializes in placing attorneys with law firms and corporate legal departments, around the country and abroad. She can be reached at angela@alegnainternational.com or via Twitter: @Recruiter_Law. Do I Need a Recruiter? What Do They Do, Anyway? Are you getting our weekly free email? If not, you can sign up today and stop missing out! Very interesting point of view on an important question. I partly agree with your conclusion but have a different take on the “why,” based on my 4+ years in BigLaw, almost 6 years in a 10-lawyer boutique and recent jump to a startup. In my mind, there’s only one compelling reason to join BigLaw after school: debt. If you’re like most students, you have a lot of it. I certainly did. As fast as possible, you need to get to a place financially where the debt no longer dominates. No question that BigLaw is the best route to take. If debt isn’t a dominant factor for you, then I question the decision to go to BigLaw, and you certainly shouldn’t just default to that decision. If you’re excited by particular areas of law or really want to work in particular industries or with particular types of people, then your first job should take you in that direction. That could be BigLaw, but more likely it’s a niche boutique, a public interest group, a government role, or an in-house position. The point is to to be deliberate about the type of work you want to do and the type of clients you want to help. You will learn a lot in BigLaw, but mostly about stuff that isn’t very helpful when – almost inevitably – you leave BigLaw. From a practical skills standpoint, you can learn much more in other environments, which are less hierarchical and typically give you more hands-on experience sooner. 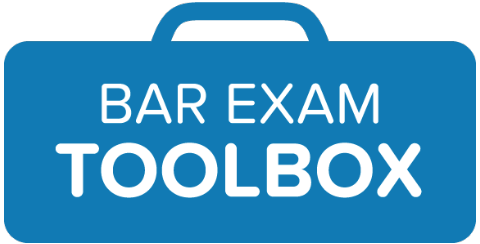 In terms of substantive knowledge, there are many other ways to build legal expertise. As for friends and mentors, if you’re friendly, you’ll make friends wherever you go. True mentors [people who care about what’s best for you and will help you get there, irrespective of their own interests] are pretty rare in any environment, and law firms aren’t mentor breeding grounds. Lastly, going to BigLaw has some negative consequences worth weighing. Apart from obvious problems with lifestyle/culture (on one aspect of firm culture: http://www.smallfirminnovation.com/2013/08/lets-stop-throwing-more-bodies-at-the-problem/), in a big firm you might lose the ability to focus on the work that most interests you. So instead of advancing toward your ideal job, you’re being pushed in another direction entirely. First, thank you for taking the time to comment. Your perspective is certainly valid and insightful. Part of the issue, in my opinion, is that most students (despite what they think/say in law school) don’t know what type of law they want to practice or in what kind of setting. I speak to many junior associates who thought they wanted X, but after doing X for a year or two, decide that it’s not for them. They switch (or more accurately “try to switch”) practice areas all the time. With that in mind, it’s important not to foreclose options right out of law school. While you can always transition “down” to a boutique, inhouse, or into government work out of BigLaw, the reverse isn’t true. If you go to a small firm and then try to move to one these opportunities later on, you’d be competing against folks transitioning out of BigLaw; and they always get preference. That’s just how it is. I’m surprised that you know hundreds of people who regret going to BigLaw. I’ve never come across anyone who truly regrets it; even if they go on to other things afterwards. I’m not invalidating your statement; it may be that we have vastly different experiences. In my experience, I’ve come across many who are in small/midsize firms, or who went the government route, who now desperately want to be at a big firm. Maybe that’s a function of “the grass is always greener,” I don’t know. The other point I’d make here is that most boutiques don’t hire right out of law school. Neither do large companies. So going to a boutique or inhouse is not possible. I don’t recruit for public interest work, but I’m told that those jobs are few and far between these days as well. I’m not sure that graduates have as much say in the type of law they get to practice, as your comment implies. For the most part, they’re happy (lucky?) to have a job, any job. More so for those that make the cut for BigLaw. So coupling the fact that most people don’t know what they want to do (without actually having done it), and that they don’t have many attractive alternatives, I think that making a decision that doesn’t foreclose a transition to any other type of law, is probably the best alternative. Probably. All fair points, Angela. Thanks for continuing the discussion. Sounds like we only part ways over the advice we’d give to a very small group of people: those who aren’t financially constrained and do have alternatives to BigLaw. To those fortunate few, I say invest the time and effort to figure out what kind of legal career you really want, and then let that objective guide your decision. At anything expect a very top school, I’d say you shouldn’t go without a clear, realistic end point in mind. It’s just too risky at this point. If you’re going to pay $150K+ to a school that can’t guarantee you realistic job prospects, you need to know going in that the job you want to get is feasible. And feasible for an average student at that school, not a superstar. Sorry if that sounds harsh, but I see too many disillusioned law grads these days!